The AVM FRITZ!Box 7490’s Price is around $300 in Amazon. The router worth the price because of its multifunctional features. 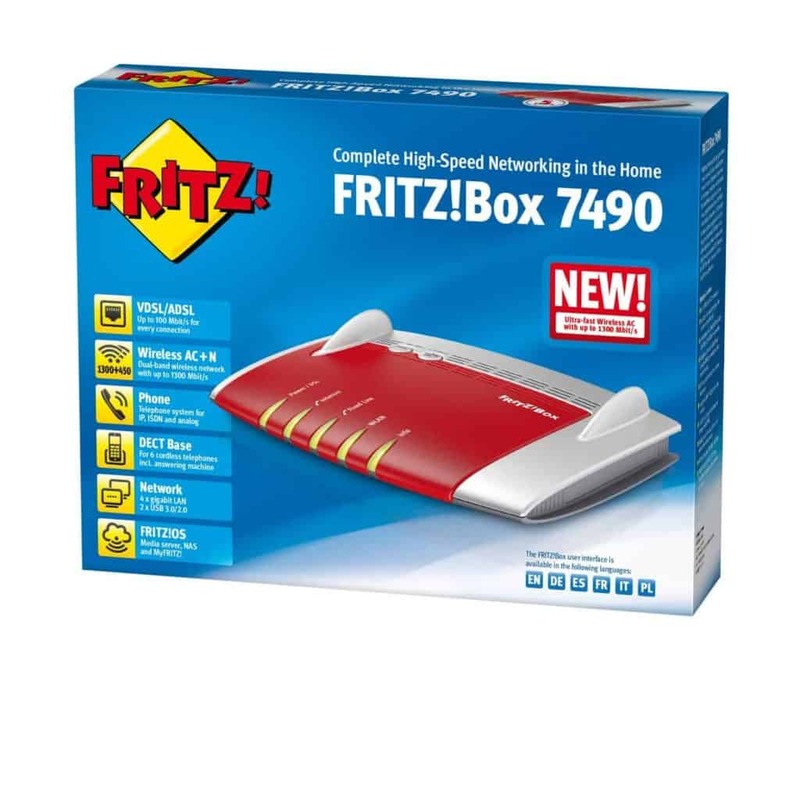 The Internet for any connection: The AVM FRITZ!Box 7490’s is just perfect for your big apartment and for your office also with the impossible networking at a high speed. It doesn’t matter to this router whether you have an ADSL or VDSL connection. 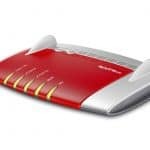 The router has got a pack of useful hardware as well such as Gigabit LAN, Wireless AC, and most incredibly the USB 3.0 for high-speed connectivity. These hardware configurations are just amazing to give you the best performance ever. A New Aspect in Wireless LAN: The AVM FRITZ!Box 7490 uses the latest wireless configuration 802.11ac, with a simple 3×3 MIMO antenna setup for a huge speed. This new Wireless AC can provide larger range network connectivity with a three time faster speed than existing standards. The two wireless frequencies that are included in the router can also be able to give you the power to manage all your devices from anywhere. You can manage your devices through tablets and Smartphone. Unique Telephony Feature: The most amazing feature of this multifunctional router is that you can connect all your phones to the AVM FRITZ!Box 7490. The router will give you notifications about the calls, messages, and voice messages also, even if you are not at home. Functions like fax and multiple answering machines can provide you a great sort of convenience. With the help of the telephony function, you can even block any outgoing or incoming numbers. The AVM FRITZ!Box 7490 has also got a DECT base station which can connect up to six cordless telephones. It also supports HD telephony; you just have to use a high-quality audio codec for this feature. But this feature also requires that other side also needs to support this. Multiple USB Function: The router has two USB 3.0 ports, which is better than any other router in the market right now. These two USB 3.0 ports can provide you huge speed. You can connect an external storage drive into one of these USB port to use it as a network-attached storage. Most amazingly these two USB 3.0 ports also support network printing. The router has got the NAS facility which only supports the SMB network system. The huge tech company Microsoft uses this networking protocol to access networked file systems. Another networking protocol AFP which is for Apple systems is not included in the router. But there is nothing to worry about it for the Mac users because the OS X supports SMB shares. You will be able to access and manage your local network from anywhere in the world with the Internet using FRITZ! Apps, isn’t it cool? 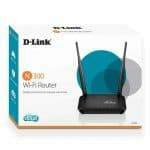 The D-Link DIR-605L released after the release of app-enabled Linksys EA series, but the cloud feature was not available on those routers by Linksys at the time of release. The D-Link DIR-605L got a brand new feature, which will provide users a facility to control and manage their home network from anywhere in the world, and this feature is a great one indeed in my opinion. The performance of the router is incredibly awesome. We tested the AVM FRITZ!Box 7490 wireless performance with three different ranges – closer range, middle range, and longer range. We tested the router at the range of 1m at a closer range. Using the wireless 11ac, the maximum speed was 330 Mbps, which is really faster than any other 11n router. Then we tested the router using 11n on the 2.4 GHz band, the throughput was 130 Mbps. This speed is also better than any other typical 11n router. We considered 7m for the middle range; the highest speed was about 320 Mbps on 5GHZ 11ac band that is quite familiar with 1m range. The maximum speed of the router was 120 Mbps while we used the 2.4 GHz 11n. And this performance of the router at an increasing range is quite familiar with 1m range. Finally, we considered 10m for the longer range and the transfer rate of the router at this range was around 125 Mbps using 11ac and minimum speed was 109 Mbps using the 11n. So there is not so much difference between the speeds as we increased the range of the router. In this test, the performance of this router is just incredible. 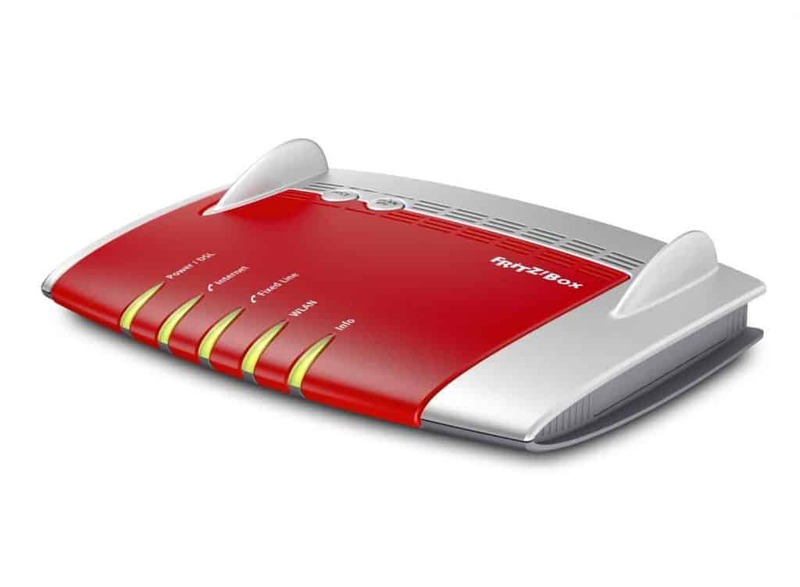 The FRITZ!Box 7490 is a scarily fast router with so many features. It provides you a ton of features that are really simple to use. Though it is expensive but it deserves the price for some key features like two USB 3.0 ports and telephony function. The good thing about this router is that the router is very much proficient with its speed, So you can go for it.